If your teeth are damaged from injury or decay, we can restore their appearance and function with dental restoration services such as fillings, crowns, or bridges. We provide white composite resin fillings which are designed to blend in with the natural colour of your teeth. These fillings are chemically bonded to your tooth and can provide additional support to your remaining tooth structure. Composite fillings last between 10 to 12 years before they need to be replaced. Crowns are used to restore teeth that are broken or decayed or where a filling has failed and a significant part of the original tooth has been damaged. 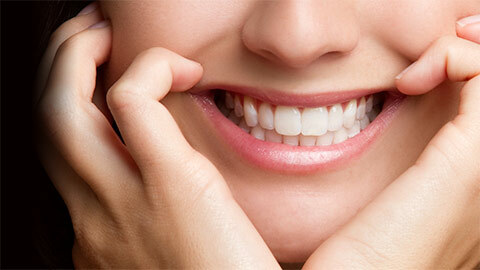 Crowns restore the natural appearance of the tooth and protect the remaining structure from damage. They are designed to last a long time. a crown is typically placed in two appointments. On the first appointment we take impressions of your mouth and teeth to design the crown, which is then produced by a dental laboratory. On your second appointment we’ll try the fit of the crown, make adjustments, and then use cement to permanently fasten the crown to your tooth. In cases where there is enough of the tooth remaining that a crown isn’t needed but not enough to support a filling, we’ll use a restoration called an inlay. 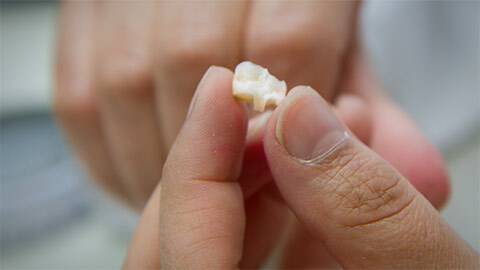 An inlay looks similar to a filling in form, but it is produced by a laboratory and placed in your mouth like a crown. Once an inlay is in place it strengthens the remaining structure of your tooth and prevents it from further injury and decay. An onlay serves the same function as an inlay and is produced the same way. Unlike inlays onlays are designed to restore the biting strength of a tooth by restoring or replacing the cusps. A bridge is used to replace one or more missing teeth in a row where the teeth adjacent to the row need to be restored with crowns. The bridge consists of one or more artificial teeth called “pontics” that are attached to two crowns that are placed over the adjacent teeth. The pontics and crowns are shaped and coloured to closely resemble the rest of your natural teeth. If you would like to learn more about our dental restoration services in downtown Edmonton, give our office a call today.